The Westminster athletic department strives to create a culture of success, leadership and character among our student-athletes. 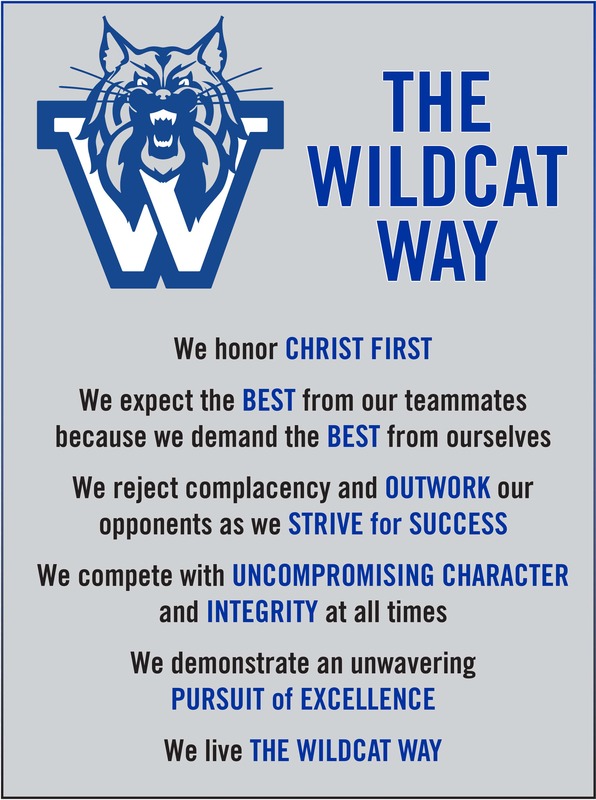 One of the ways they are doing this is by committing to a touchstone statement called The Wildcat Way. The athletic council developed a vision of what a true Westminster athlete should look like both in the athletic arena and in the classroom. The result was the development of The Wildcat Way, which will be used to encourage and challenge our student-athletes as well as hold them accountable. The goal is for our student-athletes to be intentional about their character development and the way they approach their athletic experience at Westminster. While national statistics show that only a small number of students will pursue an athletic career at the college or professional level, the values they develop on the field today will mold them into great husbands, wives, mothers, fathers and God-honoring citizens in the future.